It sounds like a funny question, but it’s been on my mind lately. How should one approach Sanskrit? Below I’ve listed Sanskrit Studies Method’s Five Key Principles For Approaching Sanskrit well. Many people feel daunted by Sanskrit. That’s because Sanskrit is likened to this very complicated and inaccessible subject. Some people are drawn to it because the grammar is known to be difficult. These students are those who know how to hone their focus beyond most people. They often pride themselves on accomplishing things that are difficult. They get identity through this. However, the pitfall for these students is that with accomplishing what is difficult as their baseline approach, they are likely to become competitive Sanskritists, (yup that exists). Instead you want to mediate the depth and the privilege of the study with your desire to understand Yoga and grow your Self Awareness. This will be reflected in how you communicate about the language. Approach Sanskrit with reverence and humility. Be grateful for the access you are given. Remove the haughty from your stance. Approach the language as you would something sacred. How you approach the study will determine the kind of access and connection you have with Sanskrit. Next you want to consider your focus. Your focus will be important in your development. Whether you are new to the subject or are a continuing student, set up a regular schedule where you will put your total focus on the subject. Everyone experiences moments of confusion in Sanskrit. Don’t be dismayed. Take notes where you are confused and move to the next point. When you are with your teacher, you can ask your questions. Develop a regular practice of working with the grammar and mantras slowly and steadily and you will grow the muscle of honing your focus. Keep an eye on how your character is being affected by your Sanskrit studies. Are you becoming kinder, gentler, more open, more connected? Or are you feeling, self-righteous, a knower above others? If the latter is at play, remind yourself that your aim is to know your Self and that knowledge doesn’t make you better than anyone else, it just gives you greater access to the subject. Remind yourself to be grateful for the access you are receiving through your Sanskrit and Yogic studies. 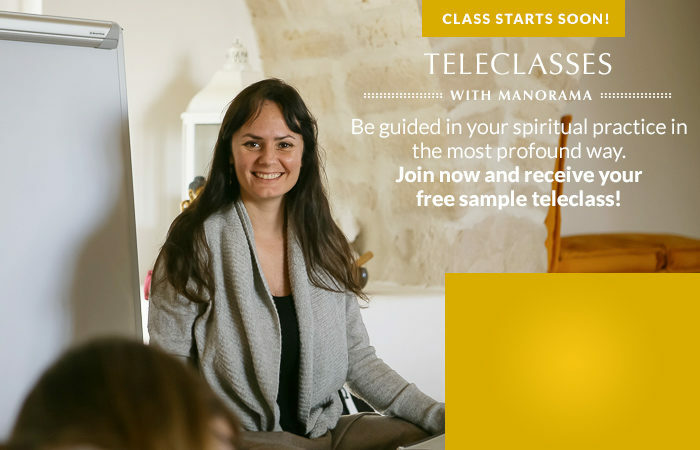 This will support the development or your character alongside your Sanskrit and Yogic knowledge. 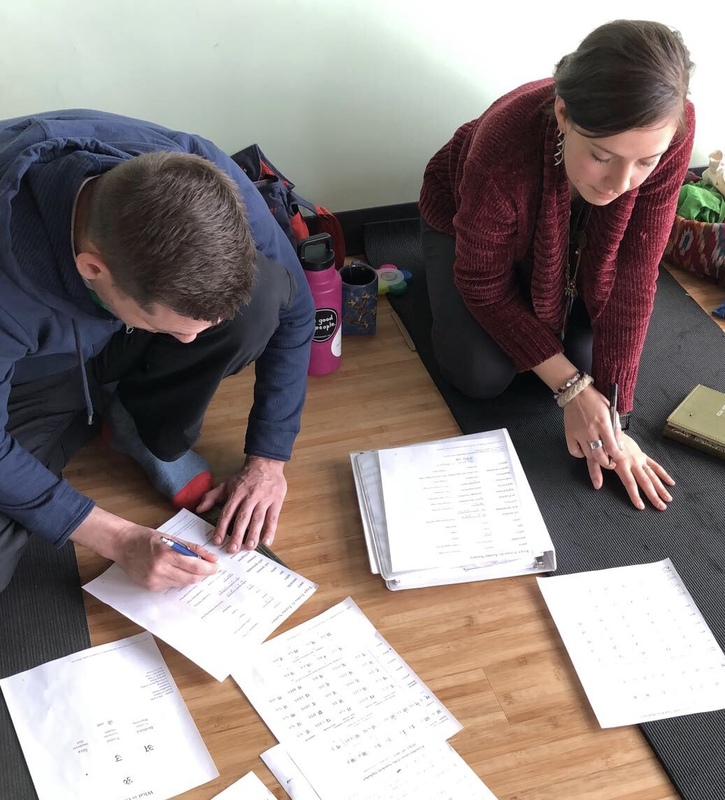 As you grow your Sanskrit practice, you will need to cultivate the skill of repeatedly focusing on a detail and then pulling back to the periphery. What I mean is, you need to understand how a specific grammatical rule will function in an isolated environment and how it works within a larger context. Pay attention to how a particular rule exists on its own, as well as, in connection with the larger grammar and you are growing your skill of staying with both the detail and the periphery. Regularly remind yourself to bring the knowledge you are learning about Sanskrit from your head, into your heart. If you don’t know what it means to bring something into your heart, investigate that. Consider other areas of your life where you have intelligence that moves through your heart. The heart is not simply located in the chest area. In Yoga, the heart is found in the understanding that exists beyond the intellect, and beyond thought. The heart is the place through which you contact pure being. You don’t want the Sanskrit you are learning to remain information. You want it to integrate into your being. Ram Dass says, “You don’t want to end up anything, you don’t want to be a meditator, or a yogi, (or a Sanskritist) in this life. You want to end up free.” What Ram Dass means is that we want to engage yoga with the aim to become free, not to become a something. You are studying Sanskrit to gain greater wisdom and inner freedom. Engage Sanskrit as a tool by which you become free. When you bring Sanskrit into your heart, your heart will guide the process of understanding rather than your mind. And the result will be real ease and openness in your Yogic practice and in your life. Try it out. See for yourself how these Sanskrit Studies Method: 5 Key Principles for Approaching Sanskrit work in your Sanskrit and mantrik practice. Remember: Information is not your goal, it’s who you are becoming in the process of learning Sanskrit that’s what you want to focus on and that is approaching Sanskrit well. This Oct 20th, 2018 Manorama will share the beauty and mystery of the Sanskrit language. In the Sanskrit Studies Method, Sanskrit Level 1 Year-Long Teleclass Training, you will study the Sanskrit language, grow yourself on the path of yogic unity, learn about the intricacies and beauty of Sanskrit through the study of grammar, mantra and sutras.